You can download the story here. Finally the crew is back in the combat zone. All but one, that is. Again, a step forward comes with a step back: Rocky Stone can’t bring himself to leave the 403rd, of which he was a founding volunteer member more than two years before. Sarnoski would like to stay, too, but wants to be in the action more. So when the crew heads north to New Guinea again, it’s without one of their anchors. Unable to find a suitable replacement navigator, the crew simply goes without, relying on Zeamer’s own excellent navigation skills. Then more bad news: In a shocking twist of fate, McCullar and his entire crew are killed in a freak accident on take-off. Zeamer loses one of his closest friends and a man of his kind. It sharpens his purpose, and reinforces his perspective on fate: You can’t escape it no matter how careful you are; it will find you if it wants you. All you can do is choose to be crippled by it or not. Jay chooses not to be. As newly appointed squadron operations officer of the 65th, Zeamer is in the driver’s seat. All missions have to go through him first. Personnel, too. The crew has been without a navigator since Rocky chose to stay in the 403rd. If they’re going to be as busy as Zeamer plans, they need a solid navigator. Jay learns of Ruby Johnston. Johnston’s been in the 65th for a few months—survived two weeks in the jungle after ditching in the dark in January—but now he’s at loose ends. Zeamer likes him, and taps him to join Sarnoski in the nose. Being new to the 65th squadron, the crew meets a degree of wait-and-see, but in short order, thanks to Zeamer's position and industry, they begin to establish themselves as just what they've taken to calling themselves: the "Eager Beavers." Zeamer's reputation only grows. 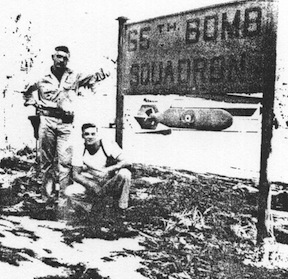 When a typical night raid on Rabaul gets delayed and becomes a rare and dangerous daylight raid, three 65th planes turn back, but three continue—one of them Zeamer. Picking his own target, Jay makes a solo bombing run on one of the most heavily defended airstrips at Rabaul from 7500 feet. The crew gets credited for shooting down a Zero, a flak hole in their wing big enough to jump through, and Silver Stars for the entire crew. When a formation bombing run over Wewak is threatened by Japanese searchlights, Zeamer circles and dives down to let the crew strafe the lights while the remaining bombers make their runs, darkening three of them. Brass is furious—endangering the plane and crew that way is against regulations—but the newspapers love it, and Zeamer is left alone. When they can’t find Port Moresby during one of the monster thunderstorms that regularly drive planes back to base and into mountains and ocean, the crew keeps its cool, even as the fuel gauges drop to empty. Finally they spot the glow of the airfield searchlights and Jay lands without ever seeing the ground. No mission seems beyond their ability. It’s not by accident. Zeamer’s focus on preparation and training never wavers, with meetings in his tent after missions to talk about what happened, what they can do better next time. It shows in their results, and they're getting recognized for it. 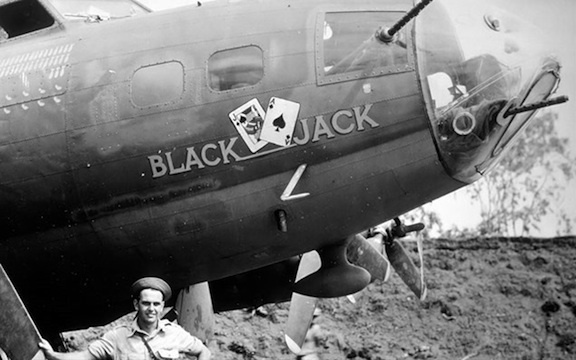 Various crew members receive promotions—though not Joe, a continuing source of consternation to him and the crew—and are decorated for their earlier missions. Yet through it all Jay’s desire to do more, to fly more, remains unquenched. Shortly after they arrive in the 65th, George Kendrick, their waist gunner and photographer who came from 8th Photo, tells Zeamer of a B-17E—#41-2666, which comes to be known to the crew as “666” or, especially by Zeamer, “Old 666”—specially equipped for mapping work. Damaged badly over Rabaul in December, it has been repaired and returned to service with the 8th Photo. The 8th considers it a “Hard Luck Hattie,” however, for its tendency to get shot up, and is more than happy when, in May, 666 is transferred to the 65th Squadron, where George Kendrick recognizes it. As squadron exec, Zeamer orders Old 666 towed to one of the 65th’s earthwork revetments as a pet project. Guarding against prying eyes and, especially, grabby hands, Zeamer has red tape stretched across the front of the revetment and posts “No admittance” signs for extra measure. McCullar's "Black Jack." Note the nose gun. Zeamer likely had 666's installed in similar fashion. Handy men all, the Beavers work on the plane largely on their own, officers and enlisted men together, for the next two months in their spare time, with some help from the ground crews. 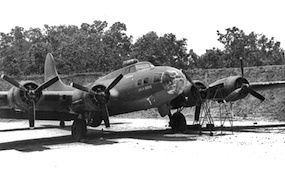 They scrounge from other planes to replace the old rattly engines with new ones, and strip out over 2000 pounds of parts and structure they don’t need like cartridge belts and ammunition feed equipment; they'll feed them in directly from boxes of 250-.50 caliber rounds set beneath the guns. Photographic mapping requires straight and level flight for an extended period of time, allowing for no evasive maneuvers. For Zeamer’s crew, then, it’s all about speed, and being able to defend themselves. So the Beavers make sure they have plenty to defend themselves with. When they’re finally done with Old 666, they have given the name “Flying Fortress” new meaning: The plane bristles with sixteen .50-caliber guns, including twin .50s in the radio hatch as well as the waist, plus a single .50 Jay has installed on the bombardier’s deck through the nose cone just for him to fire—another lesson he learned from Ken McCullar. Up to now Zeamer's Eager Beavers have been too busy with combat missions in “The Old Man,” their normal combat aircraft, to do any mapping or recon work. When finally they do get their chance to use 666, they once again prove their excellence, documenting a new Japanese airstrip and spotting a Jap naval convoy on their maiden mapping mission. They follow it up with more successful runs, always returning with nothing more than a few bullet holes. Prefer to read offline? You can download the story here.